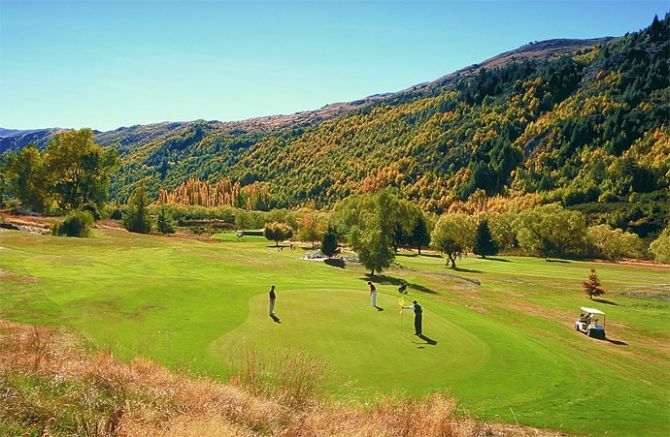 Peak Golf Queenstown is your local golf tour and holiday specialist..
Queenstown Golf Club currently has a special birdie on offer for any golfers staying to wide on the 1st green. a Peak Golf Queenstown golf group from Sydney yesterday got up close and personal with her and can detest to her speed and strength. We suggest aiming to the left hand side of the 1st green to avoid getting a real birdie!! Good golfing. 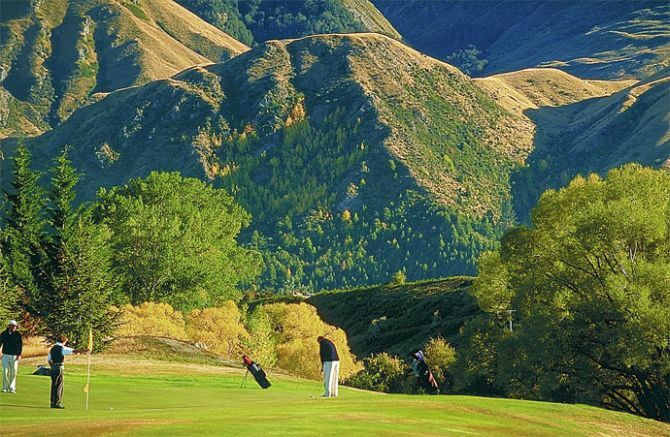 A threatened NZ falcon/kārearea (Falco novaeseelandiae) has chosen your golf course to nest in this season. These birds are only found in NZ and there are only 5000-8000 left. They can fly at speeds over 100km and catch prey larger than themselves. The bird that many of you have been fortunate enough to have a close encounter with is the female – they are significantly larger and more aggressive than the males. She is protecting her nest and her chicks will fledge and leave the nest in a few weeks. These birds are solitary with large territories although they do mate for life. They nest within their territory but do not use the same nest site every season so they might not nest back at the golf course next year - enjoy watching them whilst they are there.